After four months of practicing the seven minute show La Nouba, the Haddonfield Marching band put it all on the line Saturday November 3. 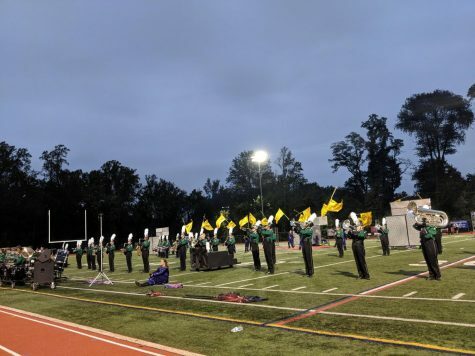 For the past 17 weeks, The Marching Band has focused on perfecting their show La Nouba for the Atlantic Coast Championships in Harrisburg, PA. La Nouba is based off the famous Cirque du Soleil. Leading the Marching Band is Director Mr. Janney, Assistant Director and Pit Director Brianna Fisher, running the Color Guard is Mr. Gwin and Abby K, and leading the brass is Mike O’Brien. The Marching practices at least twice a week for 3 hours. 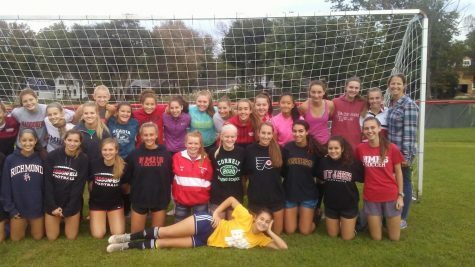 During the summer, practice is 4 hours and includes a 5 day sleepaway camp in the Poconos. 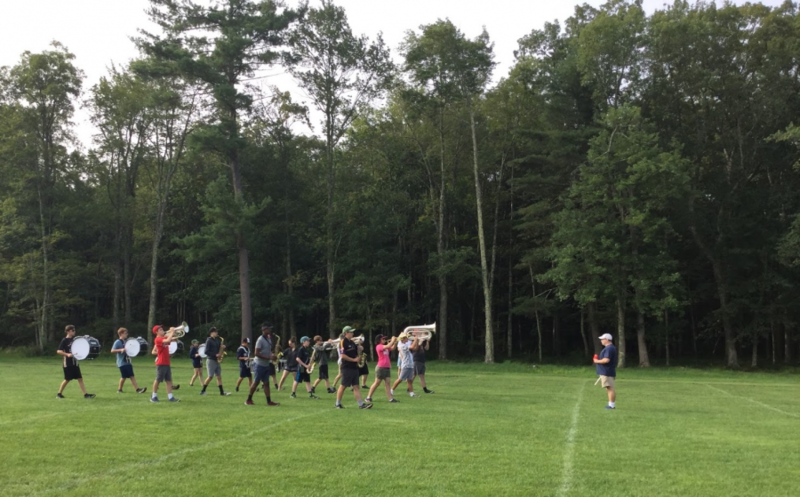 Band camp at Camp Canadensis gives the marching band intense 8+ hour practices. Mark Vaughn gives the queue to start. At this point instinct takes over. All you think about is what comes next, what can I do to make this perfect for myself? The colorful flags being thrown in the air, hula hoops, and splits all create the illusion that the circus is right in front of you. As the final notes are played, everyone gives their all into the last few seconds. The color guard slams their flags down as the gong completes the final song of La Nouba. Once the stressfulness of performing is over, the marching band gets time to enjoy with one another. The only thing left of the day is the final results. After seven fun and long hours pasted, the placement of every 1A band was announced. As the speaker went down the line from 26th place to 22nd place, every second felt like a decade. 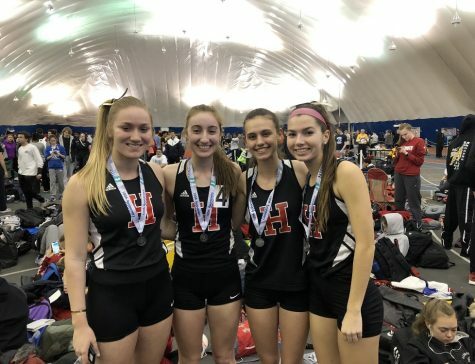 Finally at 16th place, Haddonfield was announced. 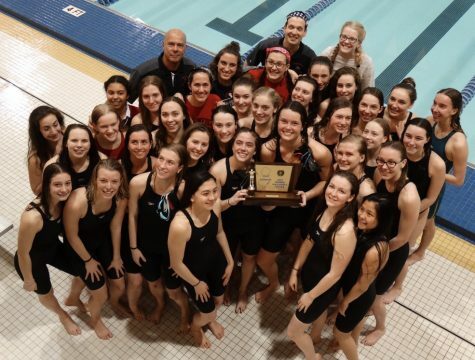 Haddonfield is still proud of everything they accomplished in the 2018 marching band season. Together they made a show they are very proud of and enjoy what they’ve created. As a member of the color guard I couldn’t ask for a better first fall season. Not only was an amazing show made, but memories that will last forever. 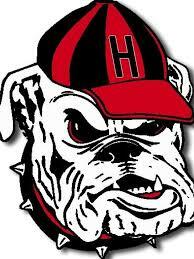 The Haddonfield Marching Band can be seen at the South Jersey Group || Championships and the Thanksgiving game during Halftime.